Shutterlock’s Friction Rock Stabilisers are attracting world attention. Their design allows them to tighten as lateral rock displacement occurs,enhancing their yielding capacities. A square plate used to stabilise the shaft and hold it in pace, as well as retaining mesh. This is all you need: the tube and matching domed bearing plate, and inexpensive driver tool to fit the rock drill you use to drill the hole. Various male and female drivers are available to fit all rock drills, stopers and drifters for all Friction Rock Stabiliser models. A pull tester will help you verify the effectiveness of the stabilisers after installation, and over time. Pull collars are available for each tube diameter. Friction Rock Stabilisers are manufacture in the following: 33mm, 39mm, 46mm and 47mm diameter tubes and are available in lengths to suit your requirements. These can be supplied in black or hot dip galvanised steel to satisfy environmental corrosive conditions. It never needs tightening. The tubular structure and high strength of the Friction Rock Stabiliser allows it to conform to rock displacements. 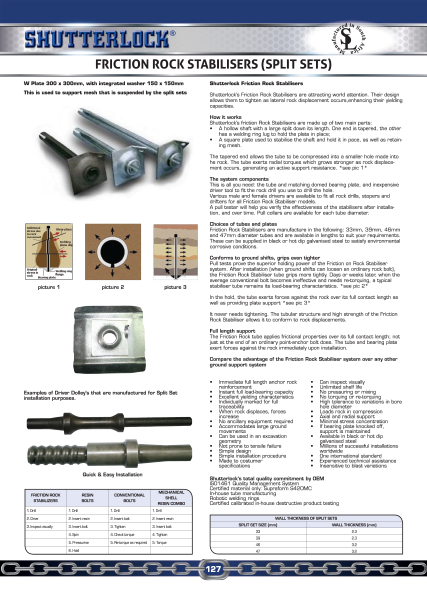 The Friction Rock tube applies frictional properties over its full contact length; not just at the end of an ordinary point-anchor bolt does. The tube and bearing plate exert forces against the rock immediately upon installation. 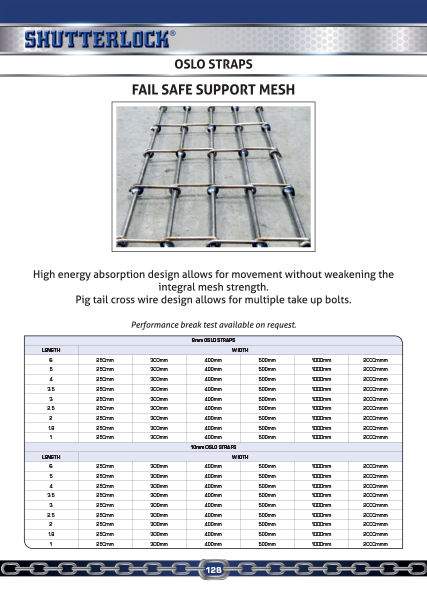 High energy absorption design allows for movement without weakening the integral mesh strength. 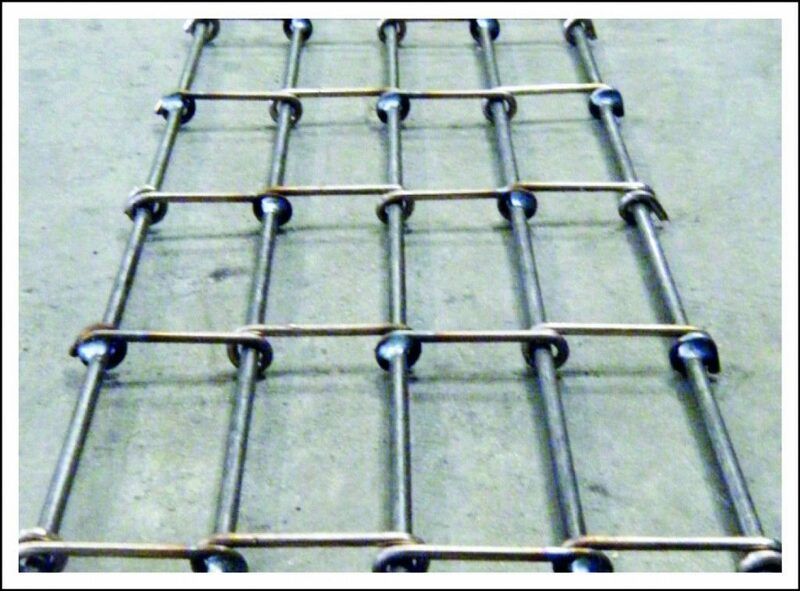 Pig tail cross wire design allows for multiple take up bolts. Performance break test available on request.